When your management style, business model or working practices are held up for scrutiny by the House of Commons you know something's not quite right, writes Nick Gray, managing director at retail marketing agency Live & Breathe. Enter Sir Philip Green and Mike Ashley, both of whom have been named and shamed by MPs as of late. 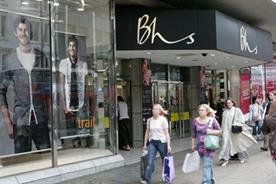 The two business tycoons face criticism for different reasons: Green for leaving BHS on "life support" after selling it for £1 to Dominic Chappell, and Ashley for treating staff "as commodities rather than as human beings" and running a business "closer to that of a Victorian workhouse than that of a modern, reputable High Street retailer". There’s a red thread here; they’re both pretty ruthless business men in charge of two big high street retail outlets. This is all bad news when it comes to consumer confidence in the people running the shops on our high streets. There’s already been letters in the papers from shoppers airing their contempt for Sports Direct’s treatment of its staff. As the story around Sports Direct has developed, what’s become clear is that Mike Ashley is out of touch with his brand and his staff. I’d also argue that this extends to the retail offering. 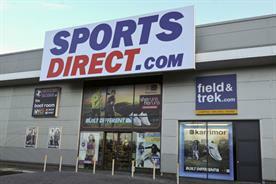 A quick visit to a Sports Direct store will remind you of the brand’s pile ‘em high, sell ‘em cheap approach. Combine this with a pretty unmemorable shopping experience and it’s fair to say that the only reason people are still shopping there is price. Even when there’s a cataclysm at the top, business leaders have a responsibility for those in their employment. Anyone looking to Philip Green or Dominic Chappell for business advice take note. It’s no coincidence that some of the most successful businesses are those with a happy staff culture. Some of the old guard of the retail industry would do well to learn from the younger businesses emerging that offer great benefits. Only happy staff can truly make customers happy. As someone who heads up a business, albeit a small one, in a very different sector, I see my core responsibility as looking after 75 families. 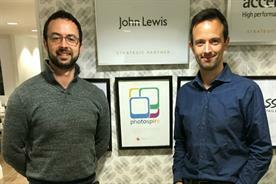 It’s this family approach that makes John Lewis a brilliant example of how to run a business with happy staff. Their famous partnership model where staff are all part owners, means they each feel in some way responsible for the retailer’s success. Those at the top behave in the same way at those on the shop floor. It’s why John Lewis goes from strength to strength: it invests in people rather than simply filling the pockets of its board members. As Ashley treads water, it’s a good opportunity for us all to remember the principles by which successful brands operate: success starts with your employees and ends with your customers and only happy staff can truly make customers happy. For Sports Direct, while value will remain key for shoppers, perception of good corporate governance also needs to start filtering down to deliver an improved store experience – both for staff and customer. Faith is a crucial element in business success. Employees need to have faith that their hard work won’t go unnoticed and that their employer has plans to invest in their future by way of a pension scheme for example. It’s no surprise that the furore around pension scheme provisions is one of biggest issues that BHS and Sir Philip Green are having to tackle. Shoppers also need to have faith in any brand they buy into. For Sports Direct customers, it’s primarily faith that they will always get a bargain, because for many of us, it’s hard to ignore a football priced at next to nothing. But even then, shoppers are often more discerning than some brands and retailers might like to think, and price must be supported by customer service and a degree of reputation.